Going out in Montreal ? What to do in Montreal ? This is it, summer is here and boy, does it feel good! 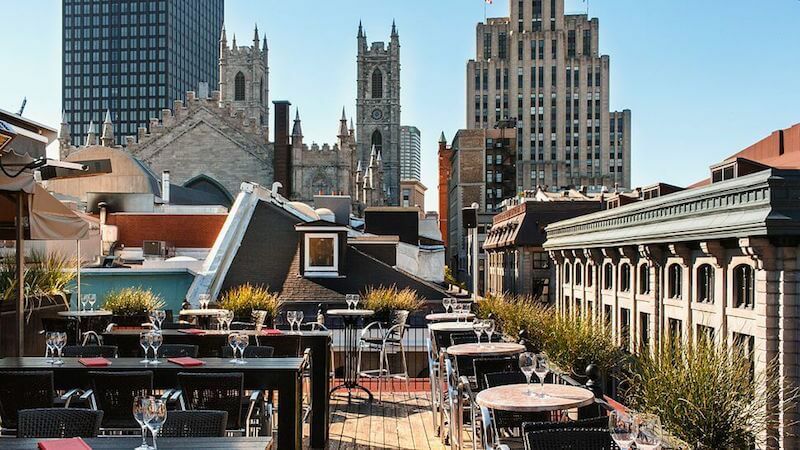 Here is our selection of Montreal’s best terraces to have a drink while enjoying a beautiful view. We can’t get enough of this one. 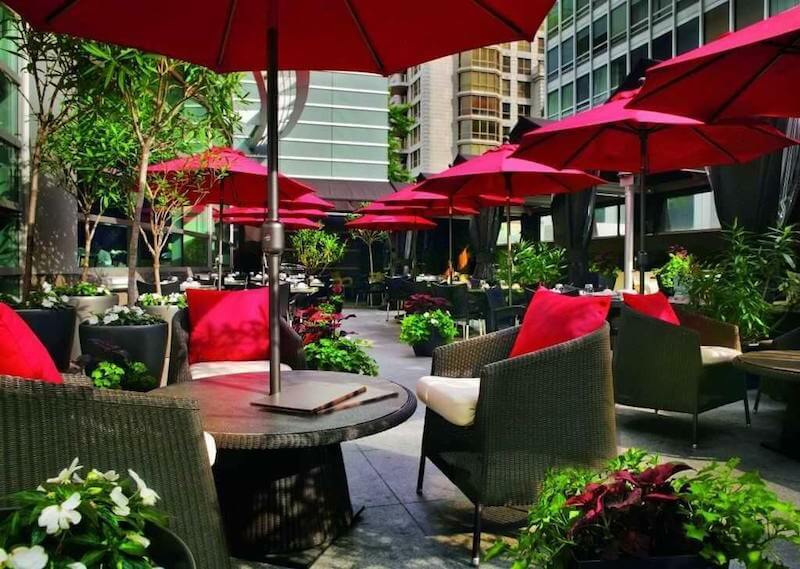 A popular choice to have a few drinks, the Nelligan terrace is located on the rooftop of the hotel. The panoramic view and the breathtaking sunsets that one can enjoy from the terrace make of this place one of our favourites. 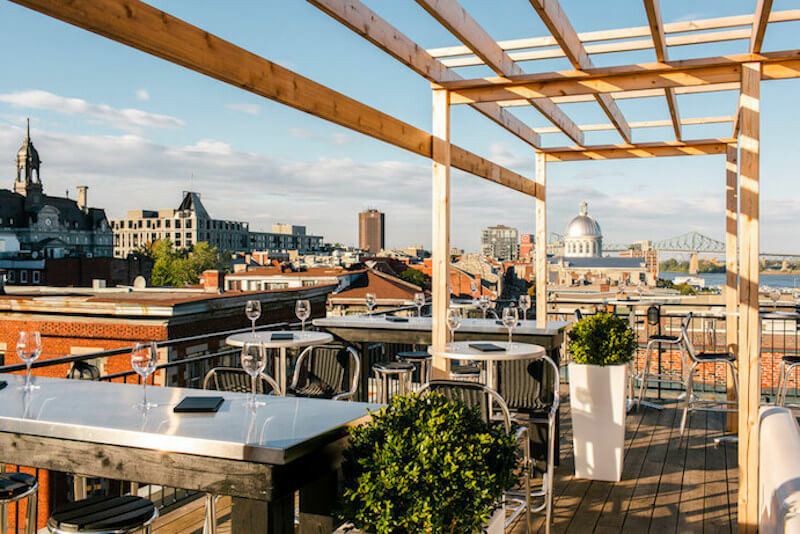 It’s location, in the heart of the Old Montreal, and the nice decor of the terrace are enough to guarantee you a good time. 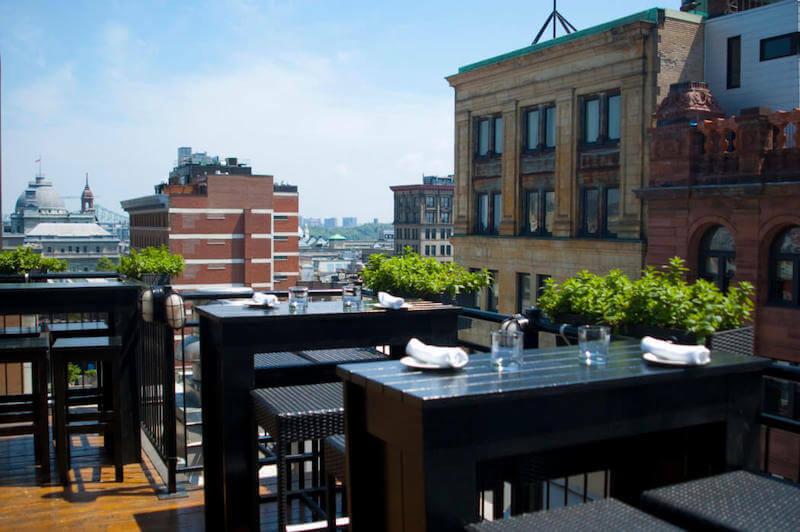 The rooftop terrace of the very chic Le Place d’Armes Hotel, where are located a bar and a restaurant, is probably the best in Montreal. The spectacular view of the Old Montreal and downtown is one of the main features of the terrace. That and the fact that the hotel is located right next to Place d’Armes metro station is enough to make this terrace a favourite of ours. The great Auberge du Vieux Port (one of Fodor’s 100 best hotels) is known for its charm and the magnificent views the all-wood terrace on the Auberge boasts. It’s probably on the nicest spots in Montreal to gaze over the Old Port and enjoy the fireworks during the summer. It’s the perfect location to have a drink on the first warm spring days. Everyone knows the French luxury hotel chain, Sofitel. Montreal’s franchise is in tune with the French art de vivre and as such, is very confortable. The spacious terrace of Le Renoir Restaurant is perfect to can enjoy a tasty meal. Located in the heart of the city, near Peel metro station, the hotel is nested right between the Mount Royal and downtown. Hotel-in-Montreal.com is a specialized website for all your questions about Montreal hotels. We have sourced the best hotels of Montreal to help you find the right one for your stay in our city.